Ovarian reserve testing is a basic part of fertility testing and an essential step before IVF treatment. Some ovarian reserve testing is relatively simple to do and may occur early in your fertility testing and treatment. Other tests are more complex or invasive, and may not be done until you’re at a fertility clinic and considering IVF treatment. What do we mean by ovarian reserves? What happens if your results don’t look so good, or if your results are too good? And how does all of this play into your biological clock? When doctors talk about your ovarian reserves, they are talking about the possible quantity of eggs in your ovaries. When we say quantity, in this case, we aren’t talking about an exact count. There is currently no way to know exactly how many potential eggs are in a woman’s ovaries. More specifically, having poor ovarian reserves means the likelihood of IVF treatment success is low. Poor ovarian reserves increase the odds of IVF cancellation. That’s when treatment is stopped in the middle of the cycle because fertility drugs failed to stimulate the ovaries to produce enough eggs. A baby girl is born with all the eggs she will ever have. As a girl grows, the number of eggs in her ovaries decreases. 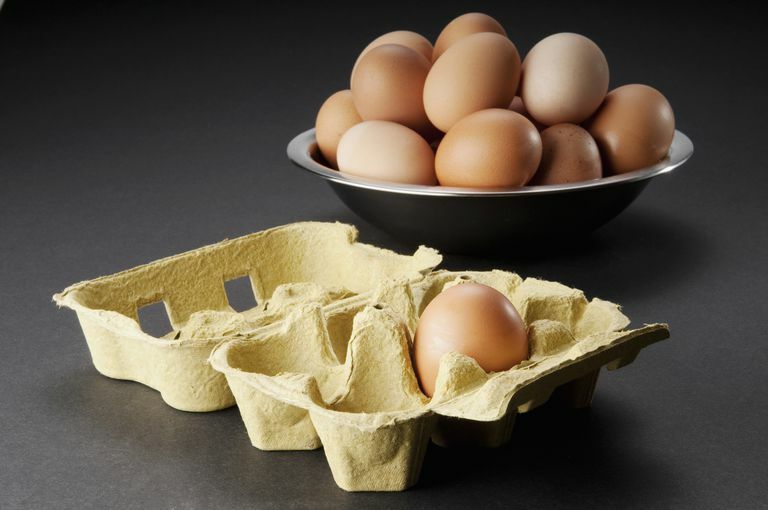 The quality of the eggs also decreases, leading to increased risk of miscarriage and birth defects in women 35 and older. But as you likely know from experience, age is not the only factor in the quantity and quality of eggs in the uterus. It’s possible for a young woman to have an abnormally low number of eggs in her ovaries. It’s also possible for a woman in her lower 40s to have an above average number of eggs in her ovaries when compared to other women her age. This is where ovarian reserve testing comes in. Ovarian reserve tests can help your doctor determine if you’re likely to respond poorly or better than expected, relative to other women your age. Ovarian reserve testing is done for two primary reasons: diagnosis of the cause for infertility and insight into how your ovaries may respond to fertility treatment. After you talk to your doctor about your fertility concerns, your gynecologist will likely order some basic blood work, to check on your hormone levels. Some of the hormones being tested will give your doctor insight into your possible ovarian reserves. One of the very first hormones tested is your day 3 FSH levels. Abnormally high levels of FSH can be a sign of poor ovarian reserves. FSH levels may be high because you’re older, and therefore the high FSH level can be considered a normal part of aging and decreasing fertility. This is bad news if you’re trying to get pregnant, but it’s not necessarily a sign that there is something “wrong” with you. However, sometimes, young women can have abnormally high FSH levels. Young women who are found to have poor ovarian reserves may be diagnosed with Primary Ovarian Insufficiency or POI. POI is also sometimes referred to as Premature Ovarian Failure (POF). FSH levels are only one method of testing for ovarian reserves. You can have normal FSH levels, but other ovarian reserve tests may find that your ovarian reserves are less than ideal. Remember that ovarian reserves are only one part of fertility testing. You can have excellent ovarian reserves, but still have difficulty with ovulation or egg quality. There are also tubal and uterine factors to consider, endometriosis, and male infertility. Then, there is also the frustrating diagnosis of unexplained infertility. You may be wondering why you can’t just proceed with fertility treatment and skip ovarian reserve testing. The problem is that basic fertility treatment and basic IVF cannot overcome poor ovarian reserves. A very common misconception is that IVF can solve just about any fertility issue. This is not true. If your ovarian reserves are low, the fertility drugs meant to stimulate your ovaries may not work. If the medications don’t stimulate enough eggs to retrieve, your cycle may be canceled before you’ve even gotten to fertilization and embryo transfer. Not only can this cause tremendous heartache, but it’s also a financial burden. Whatever money you have spent on the IVF cycle to that point will be lost. This is the primary reason for ovarian reserve testing. So doctors can screen patients who are likely to have an IVF cycle canceled. This doesn’t mean a woman with poor ovarian reserves can’t receive fertility treatment, however. IVF with an egg donor or embryo donor is an option you can ask your doctor about. Also, you may choose to proceed with IVF even if you’re diagnosed with poor ovarian reserves. Your doctor must ethically inform you that your odds for success are very low, but that doesn’t mean you can’t try IVF with your own eggs if the clinic is willing to treat you. Just know that you’re taking a financial and emotional risk by going forward. What if your ovarian reserve testing comes back more than excellent? In other words, what if you’re on the opposite side of the spectrum? Yes, it’s possible for ovarian reserve testing to find that your ovaries are likely to over respond to fertility drugs. This isn’t bad news, but it’s not great news either. It means that your risk for complications like ovarian hyperstimulation syndrome (OHSS) are higher. Women with PCOS often face this issue. Your doctor may prescribe lower doses of medication in this case, or choose a different protocol for IVF treatment, one that will lower your risk for complications. Ovarian reserve testing can’t tell you much about egg quality. A woman diagnosed with poor ovarian reserves is more likely to have lower quality eggs. But a woman with good ovarian reserves may not have quality eggs retrieved. In other words, it’s possible to retrieve a good number of eggs during IVF, but then have few to none of those eggs fertilize. Or a woman may have a high risk of miscarriage, due to poorer egg or embryo quality, or due to male infertility factors. The future may bring us tests that will help determine egg or embryo quality, but nothing proven and reliable is available currently. It is also possible to have good results on ovarian reserve testing, but still have an unexplained poor response to fertility drugs and end up with a canceled IVF cycle. IVF success is more than having enough eggs for a retrieval. True IVF success means pregnancy and as we said above, egg quantity is only one part of a big, complex picture. Egg quality, tubal and uterine factors, and male fertility play into your odds for fertility treatment success. Bad health habits can also play a role in poor egg and sperm quality, which can affect your IVF odds for success. Age plays a factor in IVF treatment and pregnancy success. You can't look at only age or only the results of an ovarian reserves test. The information must be considered together. For example, even if a woman 40 years old has good results on ovarian reserve testing, her odds for IVF success are lower than a 25-year-old with the exact same results. Don’t ignore your male partner’s age, either. His fertility also decreases with age, even if not as dramatically as it does in a woman. Badawy A1, Wageah A, El Gharib M, Osman EE. “Prediction and diagnosis of poor ovarian response: the dilemma.” J Reprod Infertil. 2011 Oct;12(4):241-8. Broekmans FJ1, Kwee J, Hendriks DJ, Mol BW, Lambalk CB. “A systematic review of tests predicting ovarian reserve and IVF outcome.” Hum Reprod Update. 2006 Nov-Dec;12(6):685-718. Epub 2006 Aug 4. Ramalho de Carvalho B1, Gomes Sobrinho DB, Vieira AD, Resende MP, Barbosa AC, Silva AA, Nakagava HM. “Ovarian reserve assessment for infertility investigation.” ISRN Obstet Gynecol. 2012;2012:576385. doi: 10.5402/2012/576385. Epub 2012 Jan 26. How Many Eggs Are Ideal With Superovulation?